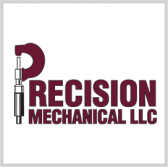 Precision Mechanical has received a $60.3M NASA contract to manufacture, fabricate and install upgrades on a liquid hydrogen or LH2 system at Kennedy Space Center, Fla. The company will apply upgrades at the center’s Launch Complex 39B that is being modified to accommodate the first joint uncrewed flight test of the Space Launch System rocket and the Orion spacecraft, the space agency said Friday. The upgrades will consist of a minimum 1.25-million-gallon LH2 storage sphere, associated vaporizers, fill manifold, flare stack and propane system, piping, valves and controls that will all be integrated into the LH2 system. NASA solicited for the upgrade services in March via a FedBizOpps request notice.